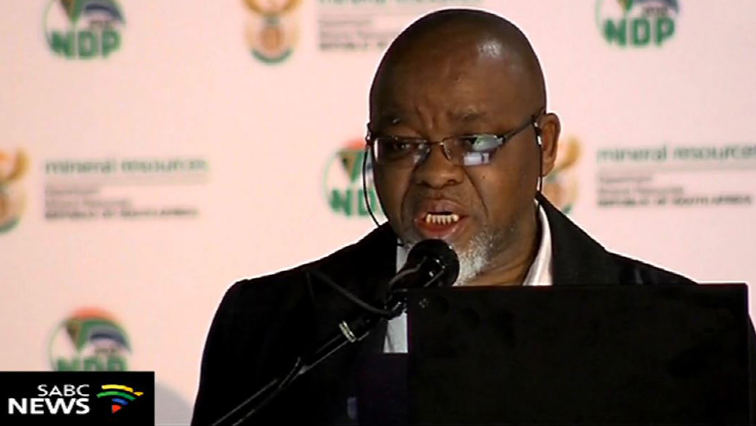 Mantashe in Xolobeni to address residents about mining prospects - SABC News - Breaking news, special reports, world, business, sport coverage of all South African current events. Africa's news leader. Gwede Mantashe is set to engage with the community of Xolobeni to address the prospective development and mining in the area. The atmosphere is tense in Xolobeni outside Mbizana in the Eastern Cape where Mineral Resources Minister Gwede Mantashe has arrived to engage the community about prospective development and mining in the area. Hundreds of residents, young and old, are flocking to the village to take part in the engagement with Mantashe. The previous meeting held late 2018 degenerated into chaos. The community is deeply divided about the proposed titanium mining in the dunes in the area. Residents are using umbrellas and raincoats to keep the rain out. Security is tight and police officers are also stopping and searching vehicles. People carrying sticks and knives are also ordered to leave it at the control point. Two huge tents have been erected for the purposes of the meeting. This entry was posted on 16 Jan 2019,12:10PM at 12:10 PM and is filed under South Africa. You can follow any responses to this entry through the RSS 2.0 feed. Both comments and pings are currently closed.